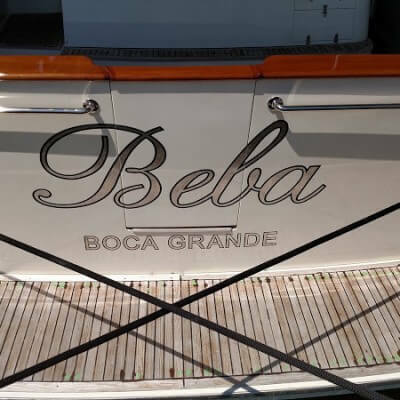 Florentine silver leaf yacht lettering with a black outline. 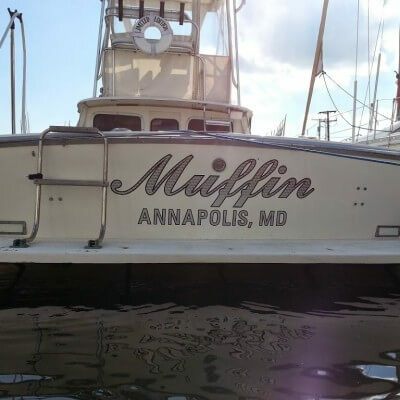 A custom name for a beautiful Fleming Yacht at Burr Yacht Sales in Edgewater, Maryland. 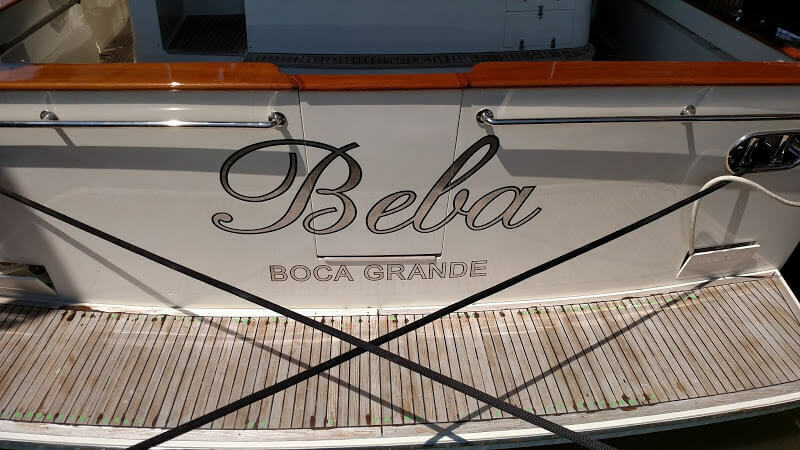 Matching hand-carved teak quarterboards were also made for Beba, and finished with palladium leaf to match the transom lettering. 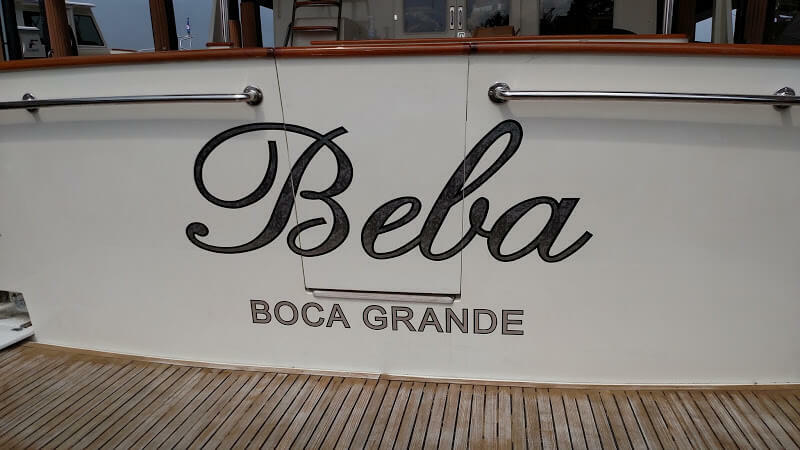 Florentine Silver Leaf Yacht Lettering – BEAUTIFUL!